AIS CEO speaks on Inclusive Leadership. 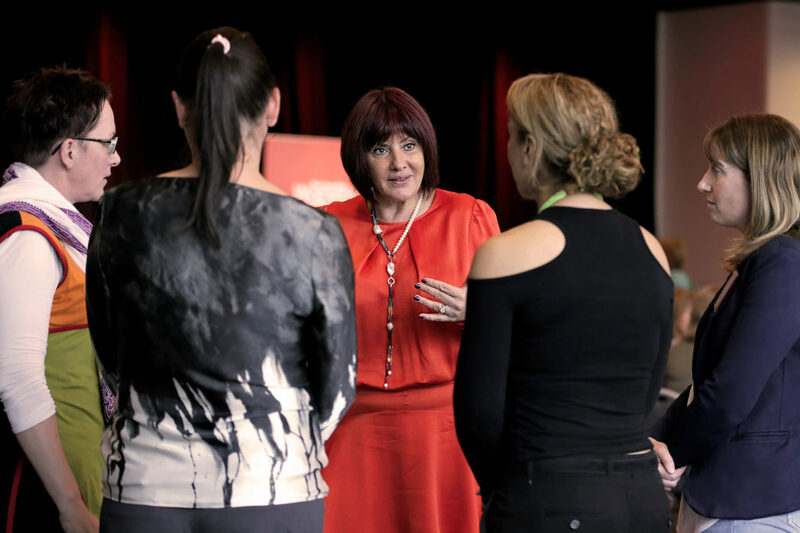 As part of the Australian Women’s Leadership Symposium 2017, AIS CEO Elena Gosse was a guest panellist speaking on the topic of ‘Inclusive Leadership’. Elena was joined by Abbie Wright, Diversity and Inclusion Manager, Aurecon; and Cath Brokenborough, Executive Lead Indigenous Engagement and RAP with Lendlease. Elena discussed the many benefits of inclusive leadership including embracing a broader spectrum of ideas and perspectives and promoting a culture of innovation. Brisbane’s Deputy Mayor, Cr Adrian Schrinner witnessed home grown innovation and ingenuity at its best when he toured Australian Innovative Systems’ (AIS) Tingalpa headquarters on Wednesday 6 June. Over 75% of Brisbane City Council’s public swimming pools are protected by the company’s technology. AIS is well known to Council as a previous winner of an Innovation Award at the Lord Mayor’s Business Awards. AIS CEO Elena Gosse is also a former Multicultural Entrepreneur Award winner and twice-finalist of Business Person of the Year in the Lord Mayor’s Business awards. During the factory tour, Elena showed Cr Schrinner the site where AIS will expand in 2017-18 FY by building another purpose-built manufacturing plant which will help the company to create more jobs in South East Queensland. Cr Schrinner said he was impressed by what he saw. “AIS is a Brisbane success story which is exporting its technology to the world. “The company’s continuous commitment to innovation, combined with its commitment to promoting Australian technology is what has seen AIS grow from strength to strength over the past 25 years. AIS CEO Elena Gosse said her company was keen to work with all levels of government interested in protecting public health, jobs and the environment. 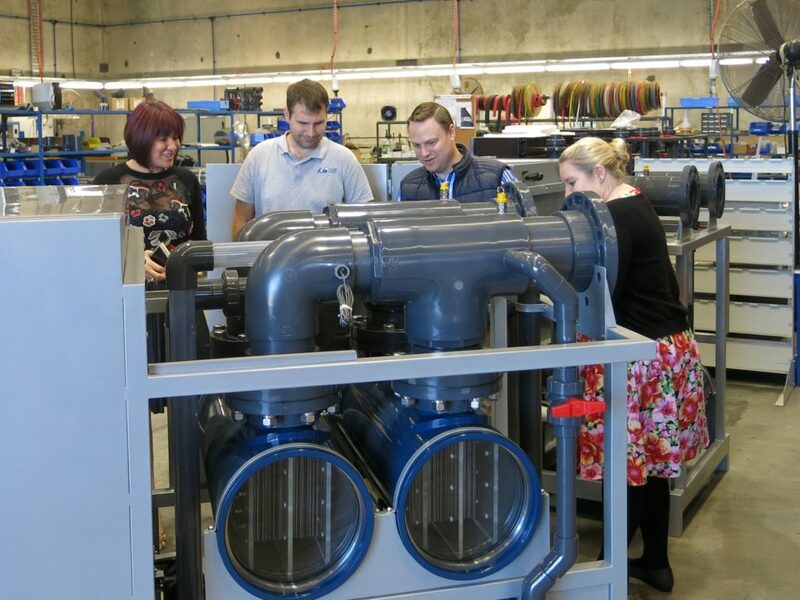 “Our tried and tested water disinfection technology is already operating successfully in public pools, aquatic centres and theme parks worldwide. We have big plans for the future including tripling our production capacity and expanding our product range. “Sadly, there are still some high-profile public facilities using antiquated water disinfection technology. Many of these systems not only pose a threat to public health, but also to the environment due to the common practice of dumping large volumes of water to correct water chemistry.